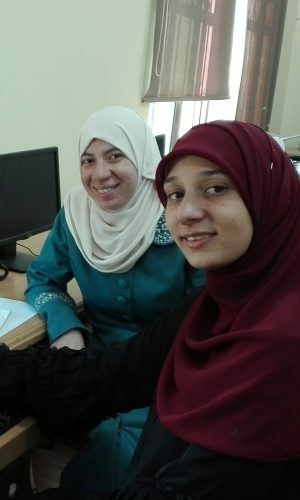 Through online, teacher-facilitated exchanges, iEARN’s BRIDGE (Building Respect through International Dialogue and Global Education) program enables students in the United States and the Middle East and North Africa to engage in interactive social learning. Unique technology and educational techniques enable classes and schools to access high-quality international and cross-cultural education. Thematic BRIDGE projects are aligned with one or more of the UN’s Sustainable Development Goals, with projects ranging from the environment to civic education, heritage, identity, and tradition, food security, and arts and media production. At John Handley High School in Winchester, Virginia, students have participated in exchanges with their peers abroad focusing on Finding Solutions to Hunger. The students were able to meet with other schools participating in the food security track in an interactive video conference with peers in Algeria, Lebanon, and Morocco. After the program’s conclusion, John Handley High hosted a hunger banquet for the surrounding community in order to raise awareness and collect donations for a local food drive. Schools in Lebanon and Morocco hosted similar events for their communities, extending the impact of the program well beyond the classroom.